It's Saturday...ALREADY! This week flew by! 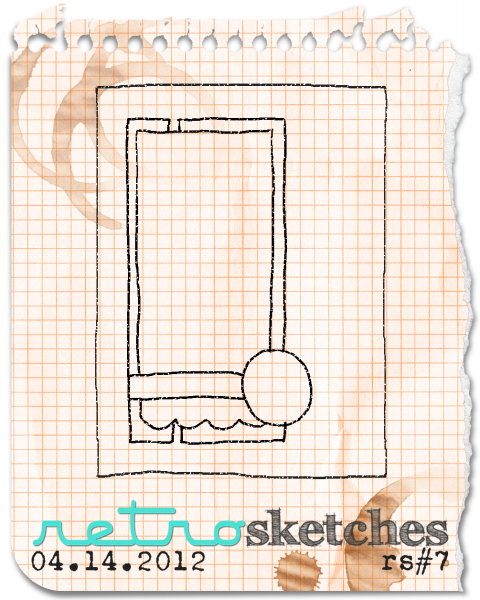 It's time for another fun sketch! This one brought to you by Kasia. 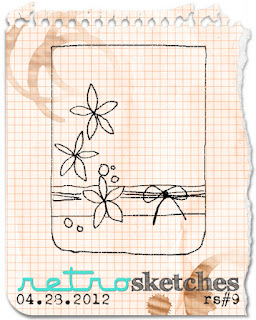 Check out her original card HERE! SO pretty! I used the die and cut out 3 hears to pop up on foam tape, like Maile did in one of her release cards! She's good!! :) Then I added a little pearl for some more detail! I hope that you can join us this week! 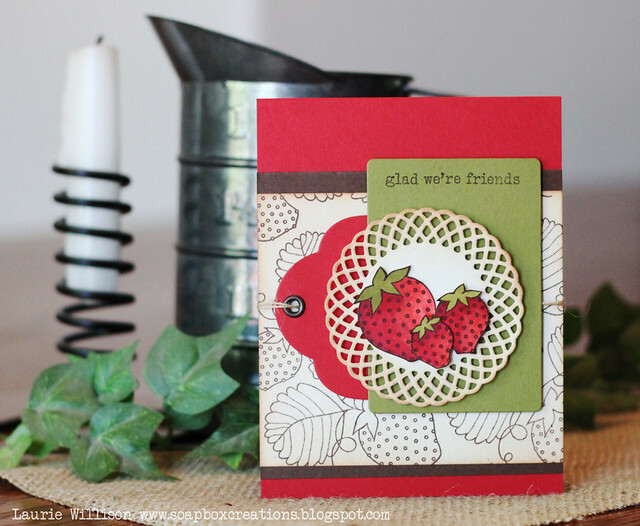 Stop over to the Retro Sketches blog to link up your card! Also stop over and see what Kasia, Arielle and Jackie have created this week! 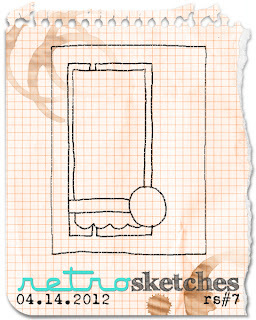 OH and for several of you who have asked, that is not my handwriting in the watermark. I found that font online somewhere! That would be cool though, wouldn't it? Happy Friday!! So sorry I am late with my post! My internet is not working....again. Its the story of my life out here in the country! I won't bore you with the details but man am I tired of dealing with the slowest internet EVER. :) Right now it seems to be working so I am typing as fast as I can! The theme for the week is April Showers Bring May Flowers! Our sponsor this week is the amazing SRM stickers! I love the font on the little Hello sticker. So easy to stick down and I was able to re-position it with no problems! Love that! 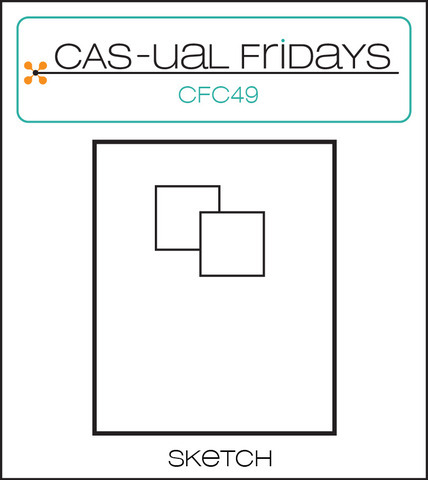 Stop over to the CAS-ual Fridays blog to see all about the prize for the week! We have 3 Girl Fridays leaving us this week too! We are saying goodbye to Laura, Jaclyn and Karen! Three amazingly talented ladies who I will miss a lot! Good luck to each of you and I know I will be seeing you around blog land! Hugs to you all! 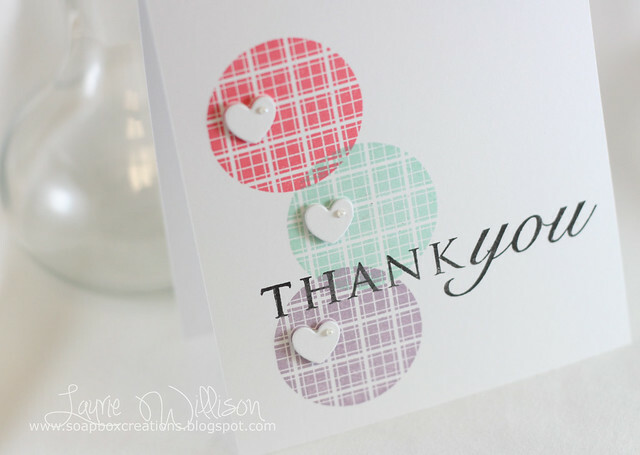 Thank you all for stopping in! I'll be back tomorrow to edit my post and add the challenge badge! Have a great day! I just did a little water coloring to make a creative little background. Then I stamped the sentiment in dark gray. Don't you love these colors? I hope you can play along this week! Click HERE to link up your creation! Also head over there to check out this weeks prize from DeNami! 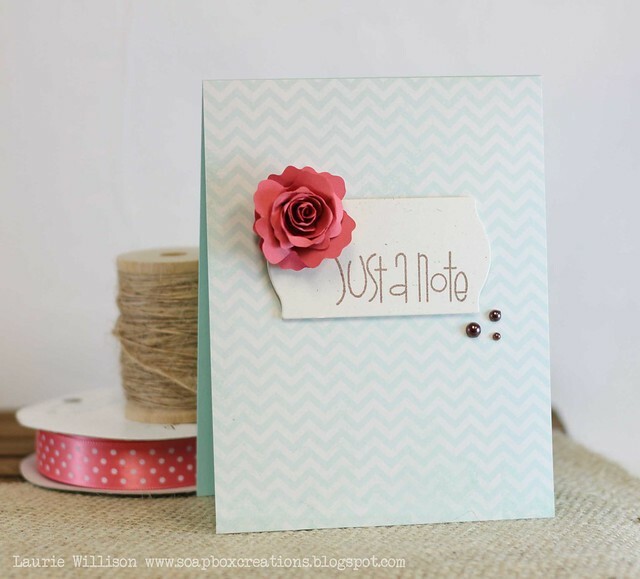 It's PTI Blog Hop time again! Yay! 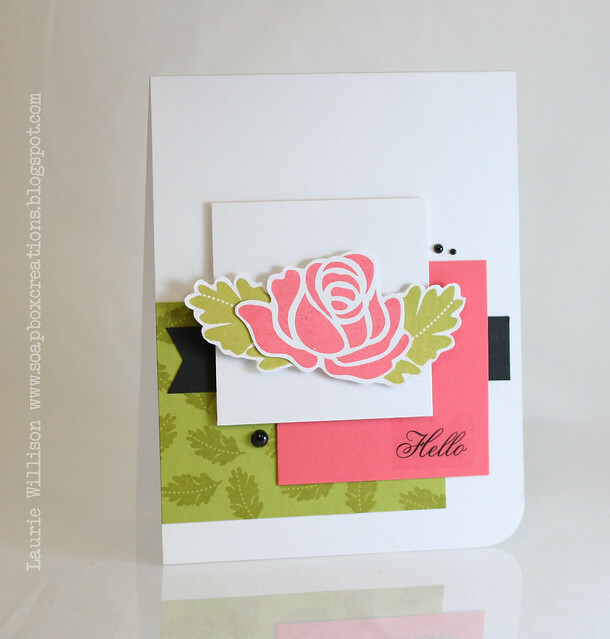 I used the Quatrefoil die for a little masked background. 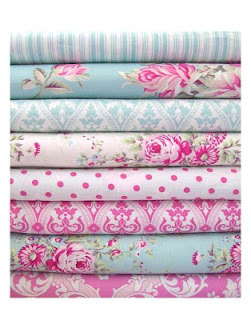 Then I added a mat stack and some Rosie Posie. I finished it off with a little Copic detail. The sentiment is from Communique Sentiments. Love that set too! So glad you could come by today! I can't wait to hop around and see what everyone has today! 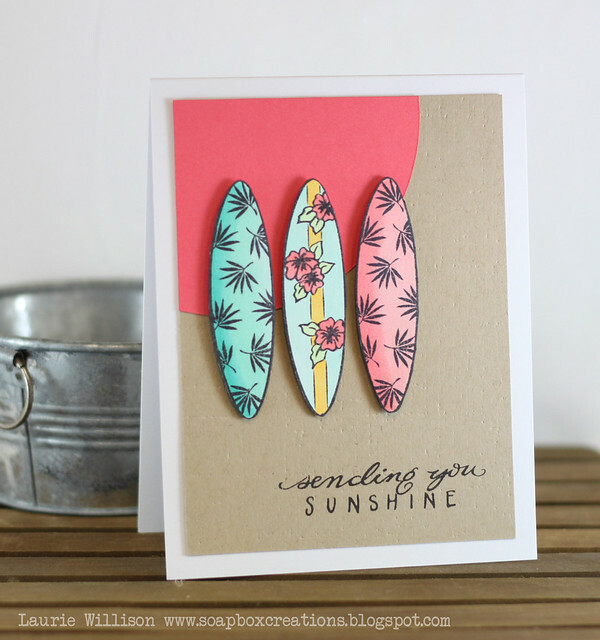 If you want to see all the cards on today's hop, go check out Nichole's blog for a full list! 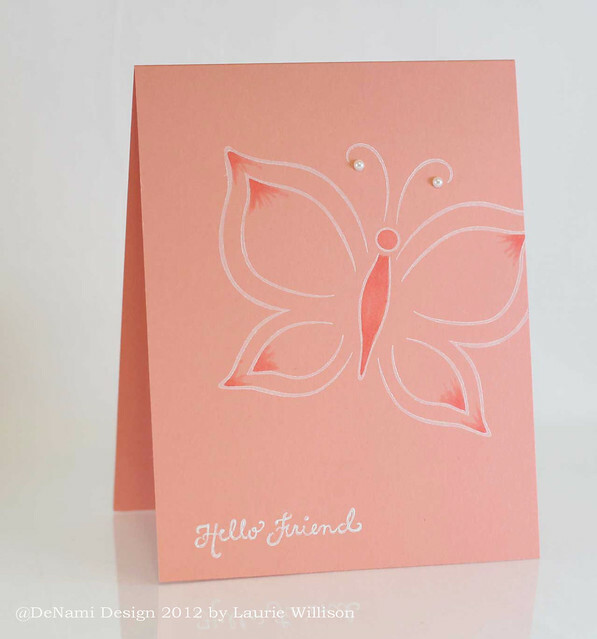 Super simple, I just stamped the butterfly in white ink and the same with the sentiment. Then I added a couple different layers of Copic to highlight the wings and body. Last I added a little bling! Go check out the DeNami blog and see what the other DT girls have cooked up! 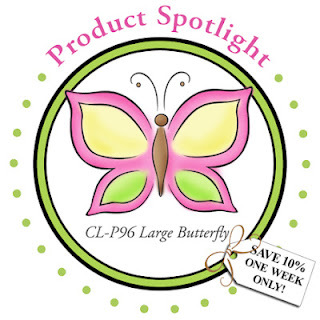 Remember, this stamp is cling mount and is 10% off this week! Today we are celebrating a special lady! My friend, Michele! I was thrilled to be asked to join in this hop, sending her birthday wishes! I used lots of dies here. 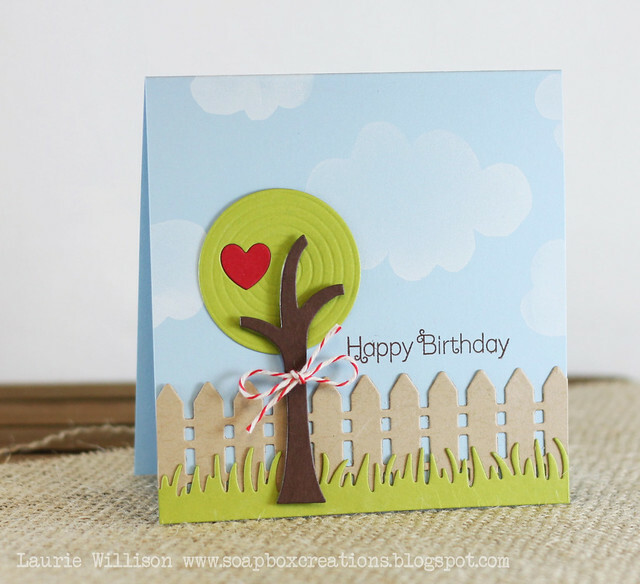 The new trees from PTI, (along with the sunshine impression plate for the texture on the tree top) the fence from Clear and Simple and the grass from MFT. I added in my own clouds...I cut these from fun foam and have them attached to a clear block at all times just for an occasion like this! 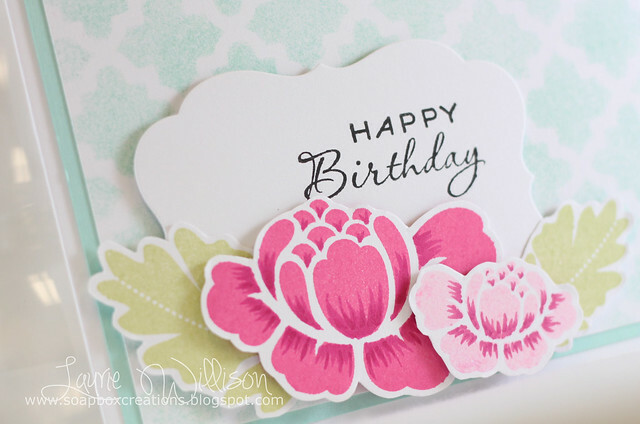 Michele, I hope your day is a happy one! I am so lucky to have you met you and call you a friend! I love that you are no farther away than a text! :) I hope you are enjoying that birthday present! Can't wait to come out and go cruising! Soon!! Happy birthday girl!! Love ya! Thanks to everyone for coming by today! 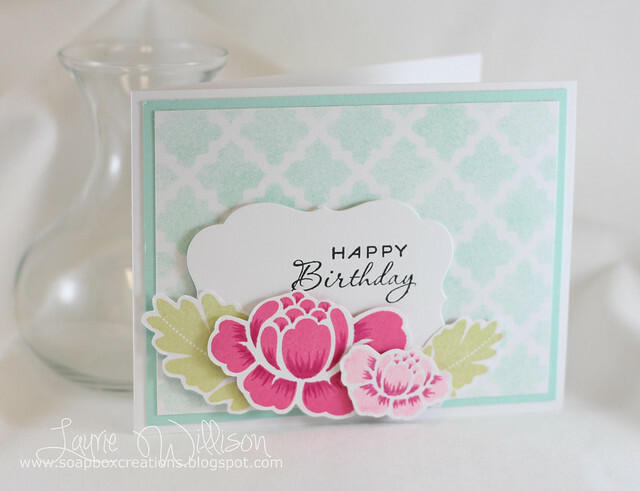 Stop over to Michele's blog and leave her some birthday love! I also realized after doing this, that my CAS cards are much easier for me. I started this yesterday morning. And then spend lots of timing staring at it....wondering if I put things in the right place...or too many things....or not enough. Anyway, I came inside for a bit and now I better get back out there. Rylee just came in covered in mud. I was only gone for 5 minutes. Agh!! 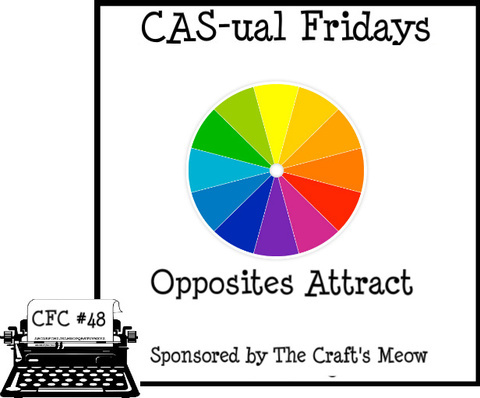 It's time for another round of CAS-ual Fridays! 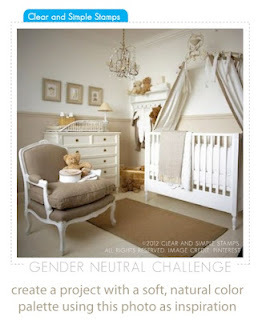 And it's time for something new and fun over at the CAS-ual blog! I had to let you know right off, to stop in over there and check it out! Don't forget to check out the CAS-ual Fridays blog to see the new changes and to check out this weeks sponsor and the prize! Thanks so much for coming by! So I was checking out the PTI forum today and I saw where Melissa Phillips had issued a little challenge. Here it is in her words..
My challenge for you this week is simple...well, kind of. 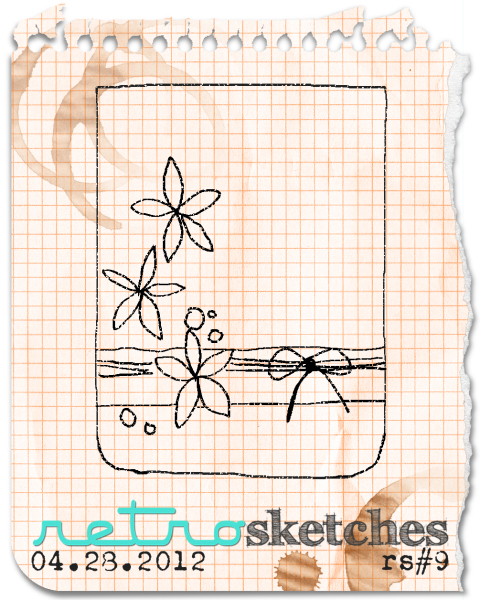 I challenge you (and me) to try a different style as you create your card. SO, if you're like me and usually tend to go the shabby, layered, look...try creating the opposite of that and go with clean and simple, graphic and fun, etc. 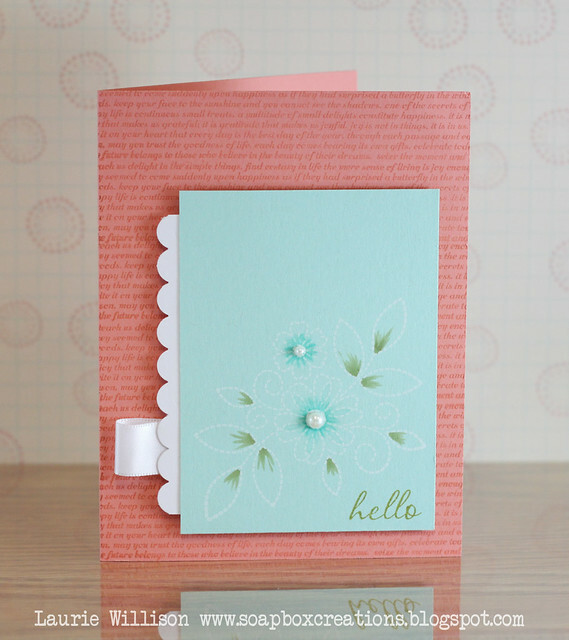 Just try a different style and if you feel like it, try one card in your usual style and another using the same elements in a new to you style. 1. A new to you style. 2. A cupcake or something sweet (cherries, pie, cake, candy, etc.). So I thought why not! I am usually a CAS kinda girl but I like to think outta the box now and then! This is probably not a new-to-me style, but one that intimidates me for sure! I pulled out my Tim Holtz inks and did a little distressing. Which is very hard for me to do. I even added some trim and Copic altered seam binding. 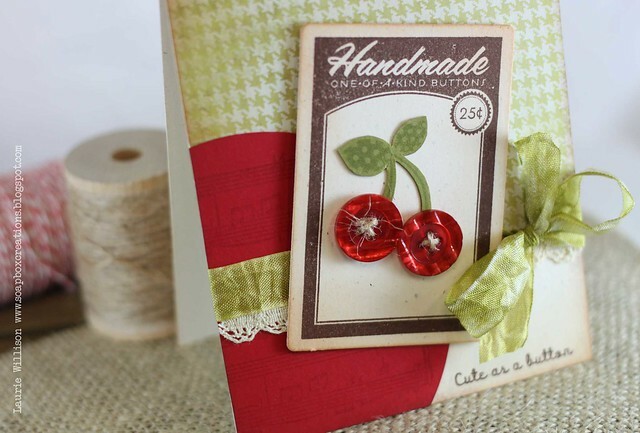 I used PTI's Sheet Music for my background stamp and the of course, buttons for cherries! It has been awhile since I used buttons like this! Thanks for coming by today! Hope your week is off to a good start! 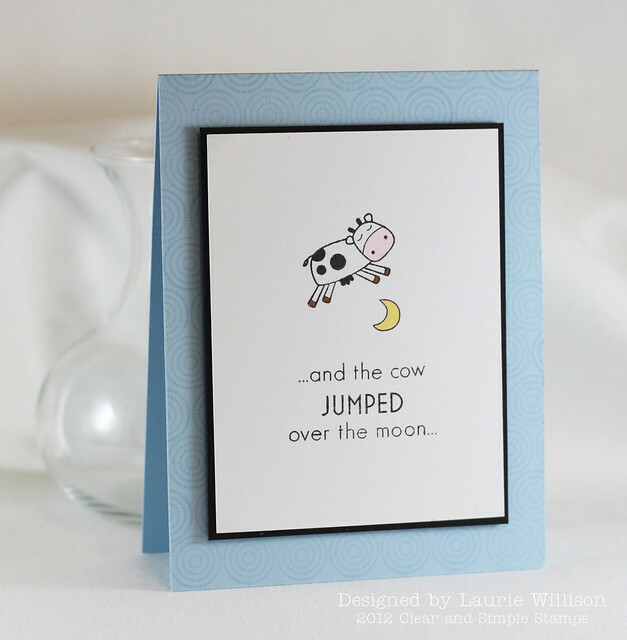 The sentiment, cow and moon are all from Sweet Dreams. 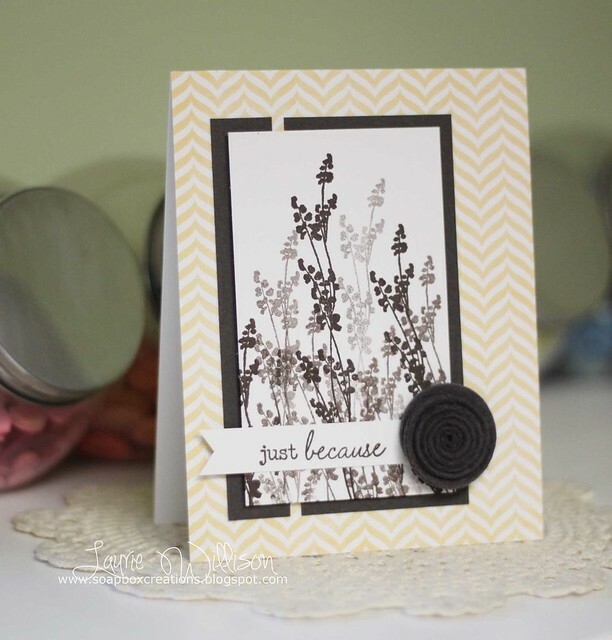 That fabulous background stamp is from Circles Plus. 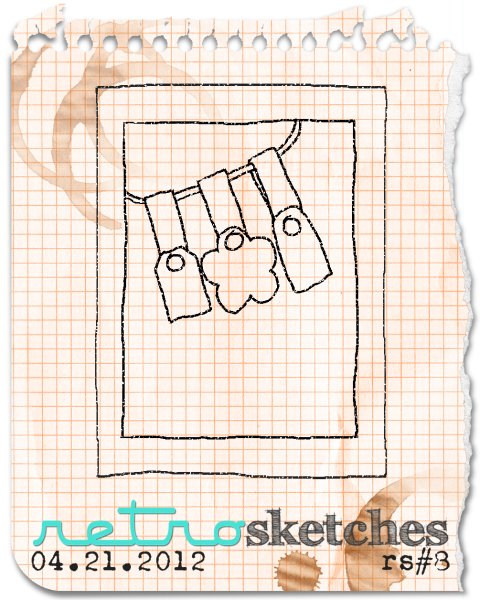 This set is a great deal because you get 7 background stamps all for $24. I love this set! Yes I had to ask him to sign this page...from her first cookbook! He didn't even blush! 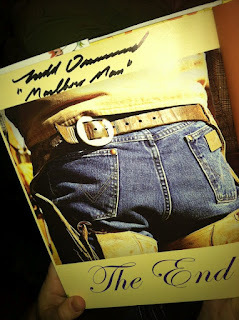 He said he had signed it before! LOL. My friends followed shorty there after and she offered to sign our books right there in the bathroom! So I have both signatures in my new cookbook! Anyway, it was a great evening and a fun story. I am off to get something done. Not sure what. But there is always lots right? Hope you all have a great day! Thanks for stopping! The blue centers are much softer looking in real life. I love the little pop it gives the image though. I pulled out my text background too. There are lots of sets I really need to be dusting off! So we survived the tornado's last night. There were 90 tornado's in Kansas last night. It was CRAZY!! We pretty much had the news on all day waiting to hear that we needed to get in the basement. And all day we saw that the storms were on either side of us. I am so thankful today that we were safe and am praying for all of those who were injured, lost homes or had damaged property of any kind! We really take for granted, so many things in our lives and I praise God for the safety of my friends and family! I hope you all have a blessed Sunday! Thanks for stopping in! I know! More pattern paper right? I guess I am a changed woman. :) I used one of my favorite sets, although I had to dust it off, Life from PTI. It's been for-EVAH since I've used it! 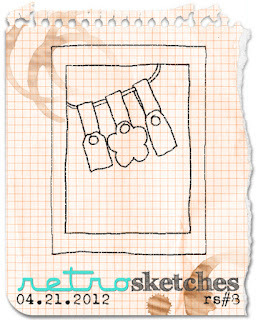 Stop over to the Retro Sketches blog and see what Arielle, Kasia and Jackie have for you! I am betting on some super cute cards! Thanks for stopping! Today I am playing along with a sketch over at Card Patterns. 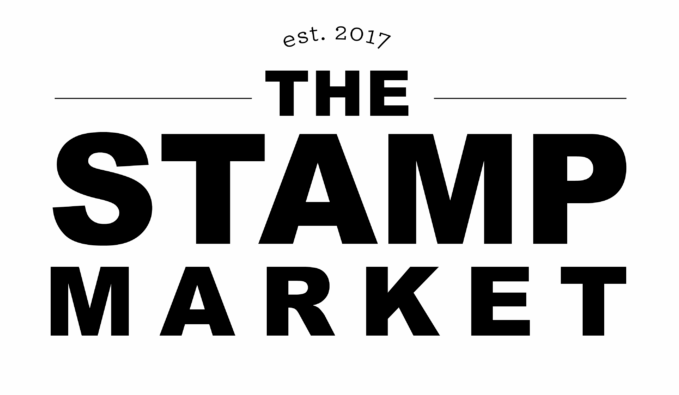 Clear and Simple Stamps is sponsoring the challenge this week! The prize is a $25 gift certificate to CSS! I hope you get a chance to play along! Everything you see here is from Clear and Simple. I used the butterflies from the Playroom background set. Then on top of that, I used the Diamond Grid stamp. I love this look! I distressed it a little with the same color ink and a sponge. 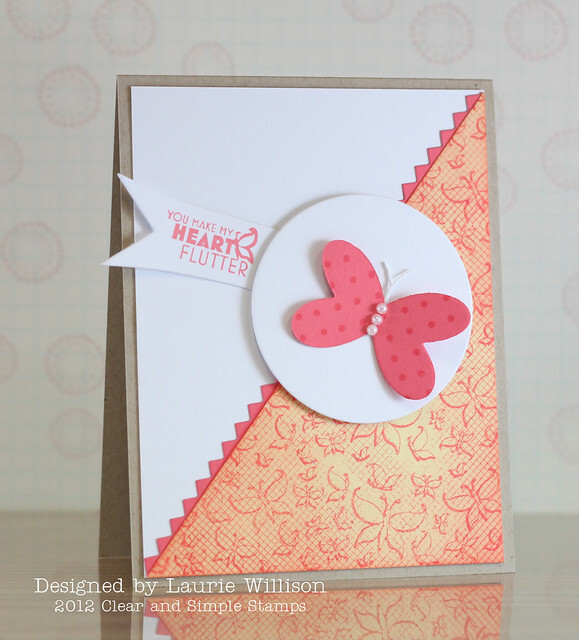 I added a little pinking shear border, a banner die for the sentiment and one of the heart dies for the butterfly! 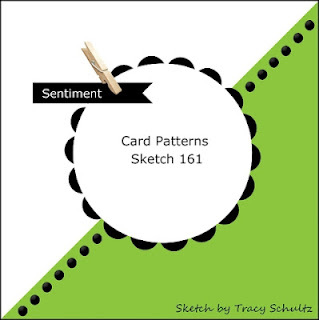 Click HERE for the Card Patterns blog! I hope you can play along! Have a great day! 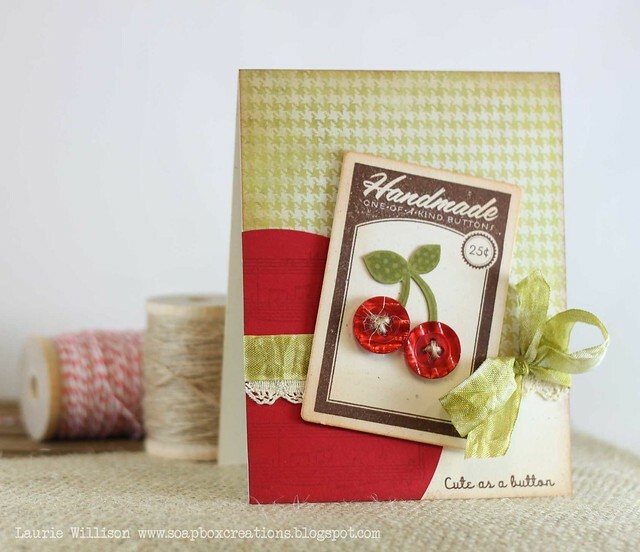 I am totally diggin' this weeks CAS-ual Fridays challenge. The challenge is to use your color wheel....pick a color and then use its opposite! I use to live by my color wheel and am thrilled to have pulled it out this week! 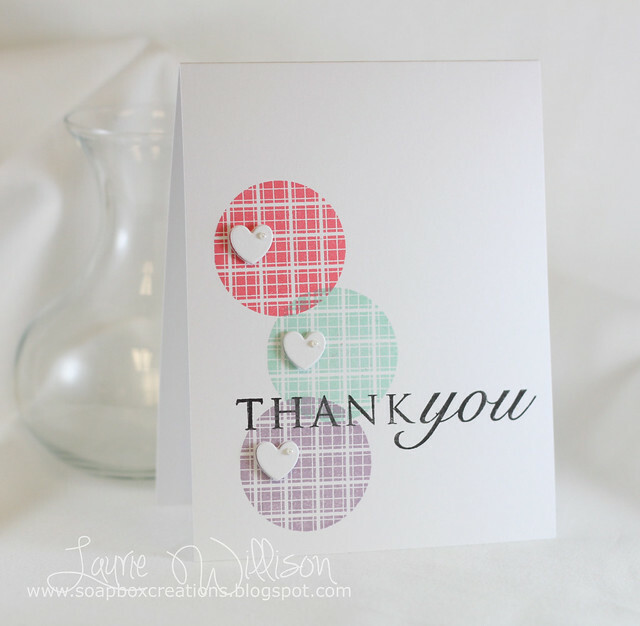 I used a set from Craft's Meow, our amazing sponsor this week, Get Well Soon. I am an RN so this set was a must have. I love the little nurses hat! And of course, this darling little band-aid! So I picked yellow as my main color and then just used a tad bit of purple to complete the challenge! 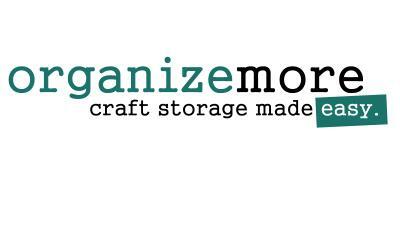 A BIG thanks to our sponsor the Craft's Meow! 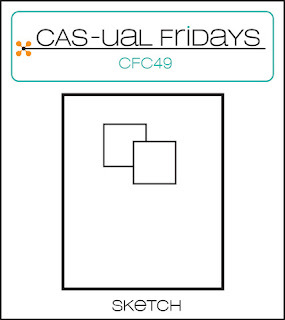 Stop by the CAS-ual Fridays blog to see what the prize is! And one more EXCITING bit of news over there too! Michele is announcing the new DT girls for the next term! 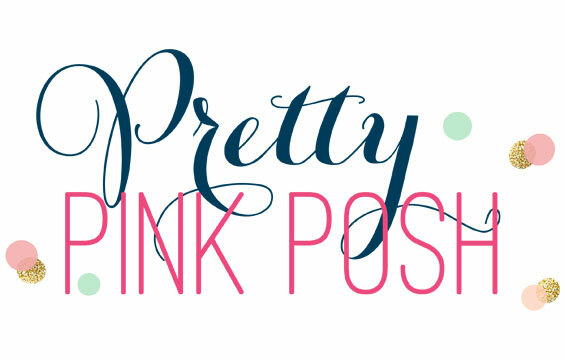 She has a huge group of amazing talent and even some of my blogging friends! I am so excited to have everyone on the team with us!! Go check it out along with some other news!! Thanks for stopping! Have a great Friday! DeNami has a cute little product spotlight to share today. 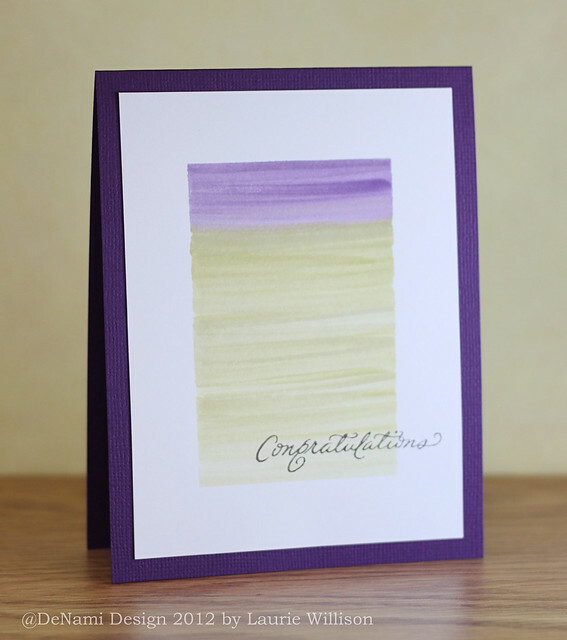 It's a Happy Mother's Day sentiment stamp. I also used the flower box from the new Flower Box Window. I am loving these new cling stamps! So easy to use! I just added a few flowers to the box and some pattern paper! 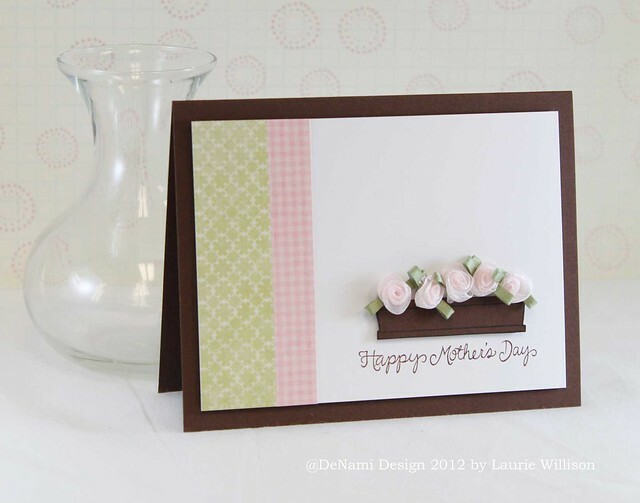 Hop over to the DeNami blog and see all the other Mother's day creations! Have a great day! I went with the overall color scheme. I love the white's and brown's in the photo. I realized I was just here recently with a giraffe party and here I am again with another giraffe die...I guess you can tell I like this little guy! 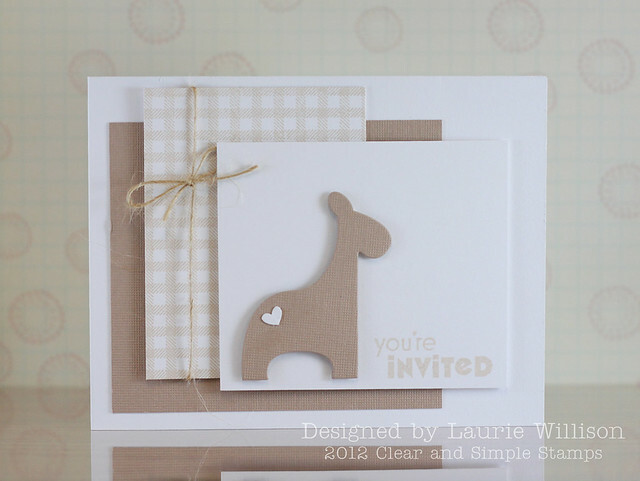 :) Another new favorite is the Gingham background stamp. LOVE the clean image it makes!